Building 11 is an unassuming, humble, plain brick building on the east side of the Oklahoma Department of Public Safety campus. Even up close it looks like an unlikely home for one of the most important agencies in the state – the Oklahoma Office of Homeland Security. But Kim Edd Carter, the agency’s director, also humble and unassuming, fits in perfectly there. Carter has no agents in the field, no officers or deputies working for his department. But what he does has everything to do with the determination of the state’s counterterrorism strategies. While the world changed for everybody on Sept. 11, 2001, it had already changed for Oklahomans on April 19, 1995 with the bombing of the Alfred P. Murrah Building. Carter’s office distributes federal counterterrorism and disaster preparedness grants to state agencies where they’re deemed most necessary. It sounds simple, but there are countless agencies and, more importantly, countless disasters to anticipate. Carter’s job, in short, is to visualize the unseeable and forecast the unthinkable. But while the dollars may roll through Carter’s departments, the real currency he works with is information. 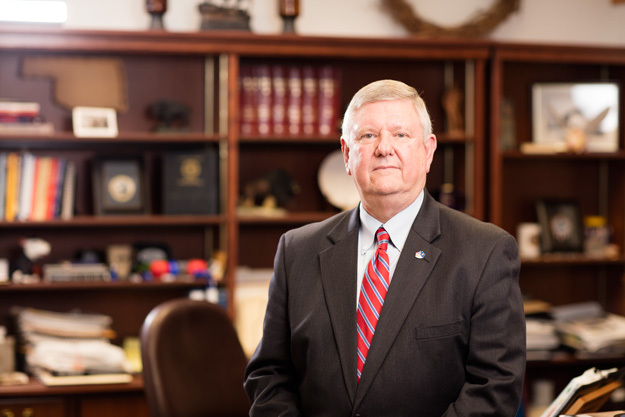 How to gather it, how to analyze it and how to turn it into actionable items is a skill he began to develop as an Oklahoma City Police Department officer 38 years ago. When he later moved on to the Oklahoma State Bureau of Investigation, he honed those skills further. Information, he says, makes the difference between a proactive law enforcement agency and a reactive one. “I’m a believer in information sharing. And I’m a believer in intelligence gathering. That can sound bad to a lot of people. Intelligence is a bad word to a lot of people but that’s just silly. You can misuse it like anything else. But one of the problems with law enforcement is we’re always reactive. Using criminal intelligence is one area we could be proactive in. It’s the one area where we can help stop crimes, and that includes terrorism. That’s why the collection and analysis of information is the key,” he says. Oklahoma has had an “active shooter” program in place since Gov. Mary Fallin tapped him for the job in 2011. Over 9,000 officers in Oklahoma have been trained to respond to an event like the one that recently occurred in San Bernardino, Calif. The first job is to gather information that stops the event before it occurs. The second is being trained to handle it if it does occur. Carter’s job covers more than just counterterrorism, though. Disaster preparedness is a must in Oklahoma. There’s no question of, say, if Oklahoma’s going to have another tornado. It’s a matter of when. Being ready for it is the only remedy. Government agencies will respond to natural disasters as fast as possible, but sometimes, particularly in rural areas, it can take hours, even days, to get to the site. Carter’s office not only trains emergency responders, it operates programs to train victims to be ready in the face of disaster. 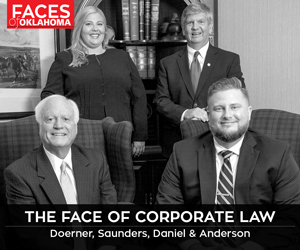 “We’re a very small office with a very big impact on the state of Oklahoma. On a regular basis, we’re working with several of the state law enforcement agencies and several public safety agencies, as well, like Health and Human Services and Emergency Management. We’re not just law enforcement. I’m working with all these other people. That’s one of the things that makes this job interesting,” he says.